When a brand-new convention decides to call itself “Anime NYC,” it’s practically asking to have the deck stacked against it. Running a first-year convention is no small task, doubly so if it’s in the heart of Manhattan. And with no reputation to go by, potential attendees may feel reluctant to try things out. Small attendance numbers can mean a lack of overall interest and the inability to justify the high costs of NYC, while large numbers means a greater chance of disaster striking if mismanaged. 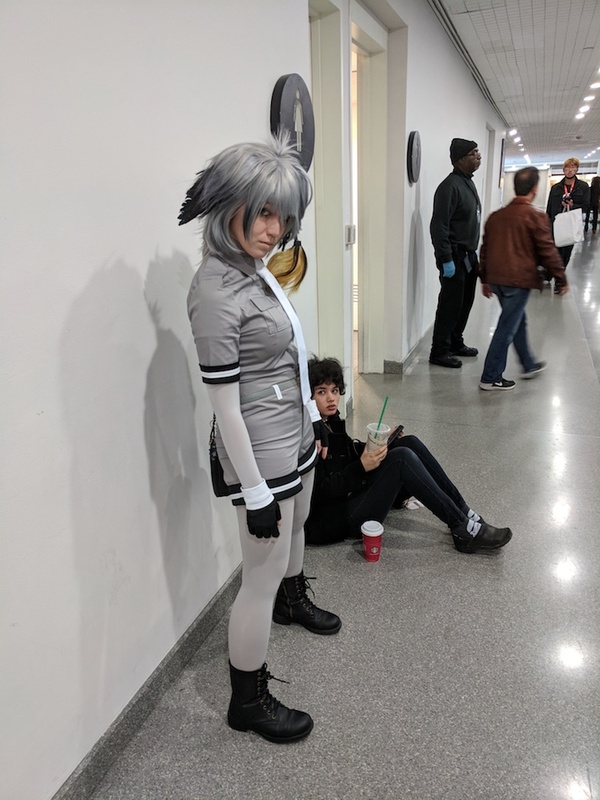 As a longtime resident of New York City, I’ve seen cons come and go, but somehow, someway, Anime NYC went so swimmingly that I almost can’t believe it was real. 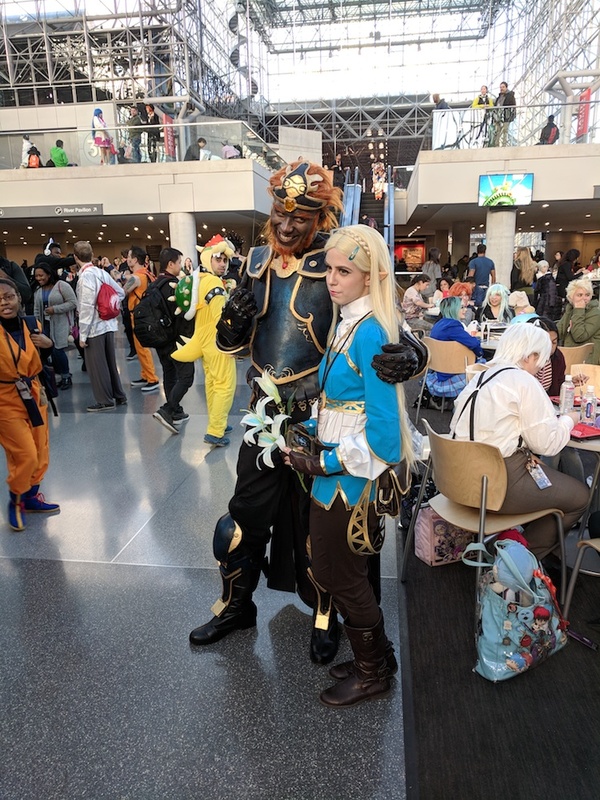 Those who attended New York Anime Festival and the first few New York Comic Cons might recall what it was like to go through the Jacob Javits Center without feeling like sardines. 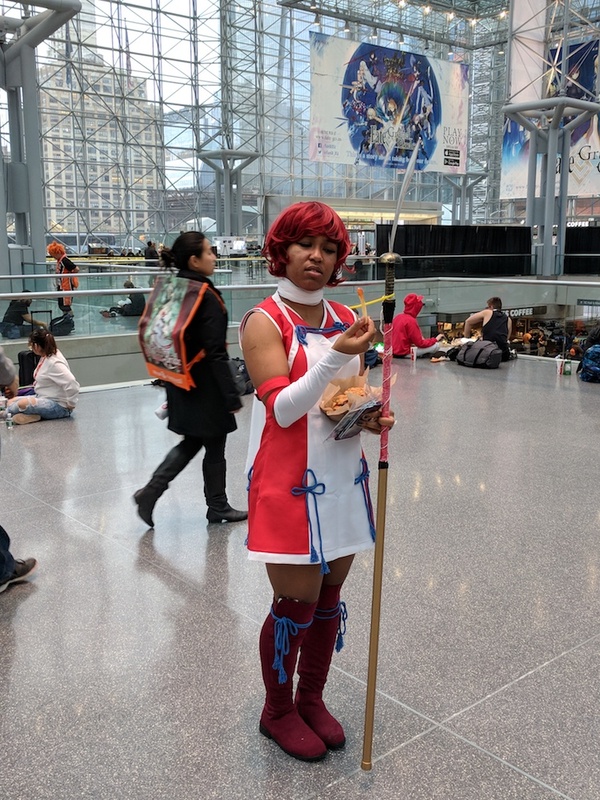 Walking through Anime NYC felt reminiscent of that environment, as the con was fairly heavily populated but with plenty of elbow room to spare. Panel rooms were right next to the Exhibitor’s Hall, making transitions between checking out the goods and listening in on industry and fan talks. Special events were held in a Main Event Hall that was a fair distance away, though nowhere near as disorienting as, say, the Baltimore Convention Center where Otakon used to take place. Because it was so easy to navigate (without the space feeling overly empty), I came out of the three-day con feeling satisfied yet unstressed. Usually one comes with the other due to the hustle and bustle of trying to get everything done, or because there’s so little to do at the event itself that boredom and lethargy set in. 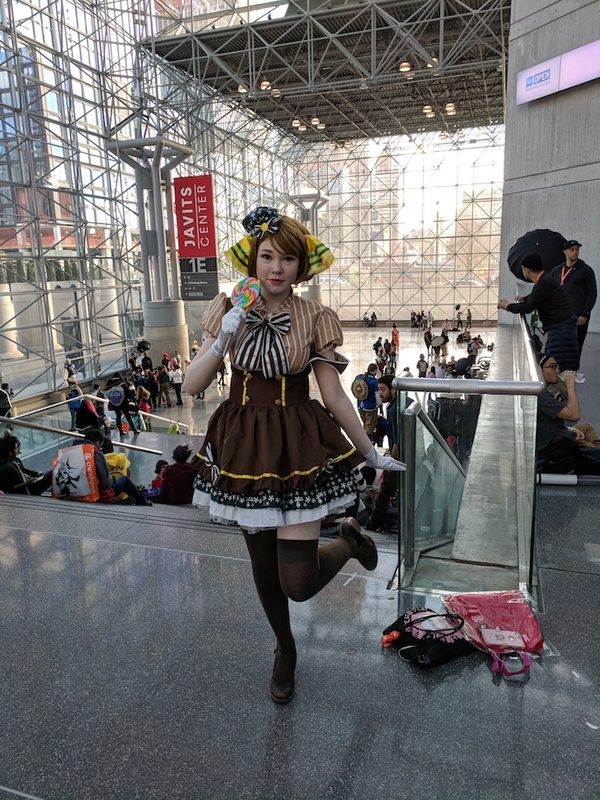 Anime NYC struck a Goldilocks-type balance with a schedule that thrilled but did not overwhelm body and mind. 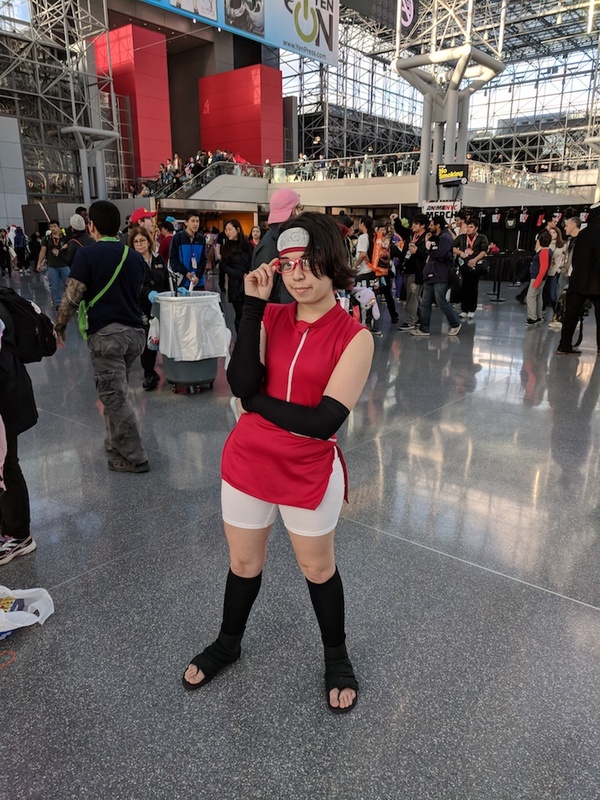 A major contrast between Anime NYC and NYCC is that the latter is focused on being a general comics pop culture event, with a film and television presence that all but overshadows the “comic” in comic con. Anime NYC, on the other hand, is first and foremost concerned with anime and manga. A few features branched out from that core, such as the presence of Overwatch voice actors who were there to meet the fans and sell autographs, but this was certainly no “anime ghetto,” as fans took to calling New York Anime Fest when it began to be dissolved into NYCC. 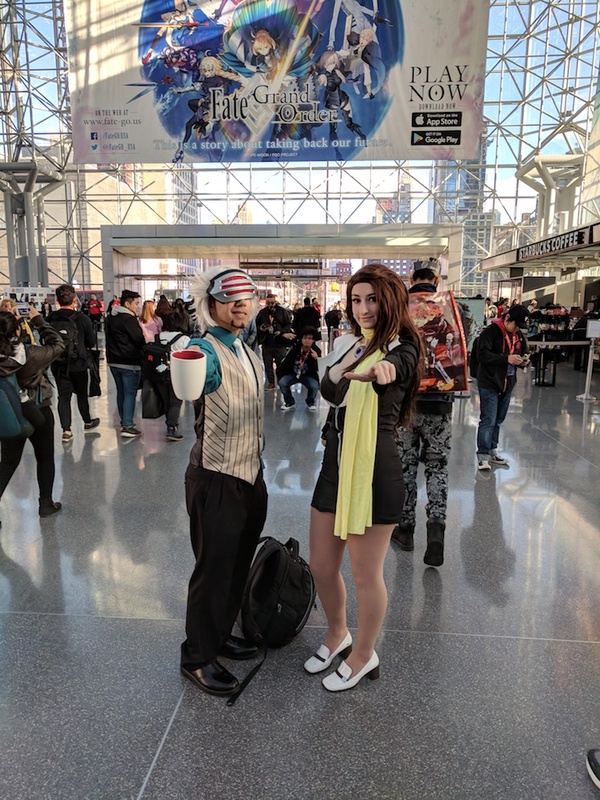 For those who love anime and love a big convention feel but think New York Comic Con’s a bit too much, Anime NYC has potential to be a gathering point for anime fans in the tri-state area. Anime NYC featured two concerts that shone in different ways. The first was Anime Diva Night, while the second was the Gundam Thunderbolt Concert. At Anime Diva Night, three Japanese musical guests performed as part of the Anisong World Matsuri. Two of the singers, Ishida Yoko and TRUE, are amazing vocalists in their own right, but the third, Yonekura Chihiro, was the reason I wanted to attend. She’s the voice of so many amazing anime themes over the years that it almost doesn’t compare. Notably, she sang the opening and ending themes to Mobile Suit Gundam 08th MS Team. While having Yonekura alone would’ve sufficed in my case, all three did a wonderful job. Some singers sound significantly better in the recording booth than they do onstage, but this was not the case for the Anime Diva trio, who sounded incredible even though the makeshift Main Events Hall did not have ideal acoustics. The concert had a somewhat unusual format. Rather than move from one act to the next, each performer would do a few songs, perform a duet with another, and then the newer singer would take over before the next duet. There were two rotations in total, with all three singers performing together at the start and end of the show. All of the group performances were cover songs of popular anime themes—”Cruel Angel’s Thesis,” “Moonlight Densetsu,” “God Knows,” etc.—while the solo acts were their signature songs. Yonekura did indeed sing the Gundam 08th MS Team opening, but also an old favorite of mine in “Will” from the anime Hoshin Engi (aka Soul Hunter). Highlights from the other two singers included TRUE performing the first Sound!! Euphonium opening and Ishida doing arguably her most famous song, “Otome no Policy” from Sailor Moon R.
There were a couple of songs that didn’t make the concert that I was hoping for: Yonekura’s “Yakusoku no Basho e” from Kaleido Star and Ishida’s “White Destiny” from Pretear, but it was a small loss for an otherwise amazing concert. The Gundam Thunderbolt Concert was highly unusual compared to what typically happens at an anime con performances. Generally, they’re closer to Anime Diva Night, sounding like the j-pop or j-rock one expects out of anime. To have the Gundam Thunderbolt composer Kikuchi Naruyoshi lead a jazz band himself on saxophone was a truly rare treat, and it’s one of the most unique experiences I’ve had at an anime con. The closest equivalent I could think of was Kanno Yoko’s concert at Otakon 2013. I am no jazz aficionado, but thanks to the concert, I felt as if I began to understand the almost primal appeal that jazz holds for listeners. As I listened, an analogy popped into my head: jazz is like constructing a human being from music. They can be loud one moment and quiet the next. They can be a mess of contradictions, yet still function. I’m unsure if this will send me towards checking out more jazz in the future, but my curiosity is definitely piqued. I’ve been more or less referring to the Gundam Thunderbolt Concert as a “jazz performance,” but that’s not entirely accurate. To everyone’s surprise, the concert also included performances by the singers of some of the 50s/60s-style pop songs from the Gundam Thunderbolt anime. In the context of the series, the two main characters, Io and Daryl, are two soldiers on opposite sides of a war who each listen to music as they battle. Io is an intense man who loves equally powerful jazz, while the handicapped Daryl prefers softer ballads. At the Gundam Thunderbolt panel, Kikuchi mentioned that these are basically his two favorite genres of music, and he thought both fit the characters well. Interestingly, while the Gundam Thunderbolt manga included jazz already, Kikuchi composed entirely new songs that he felt fit Io’s character better. One funny coincidence of sorts when it comes to Kikuchi’s choice to add a golden oldies aspect to the Gundam Thunderbolt score is that one of the biggest names in classic mid-20th-century American pop, Neil Sedaka, once composed the theme songs to Mobile Suit Z Gundam in the 1980s. I’d be curious to know what Kikuchi would think about this. More than Exhibitors’ Halls, Artist Alleys at cons can be affected heavily by the space they occupy. Regardless of the artists’ skills, or the amount of people in the alley, a bad space can make an attendee want to leave as quickly as possible, while a good space encourages more browsing and exploring. Anime NYC’s is probably the best I’ve ever seen. Held on the top floor of the Jacob Javits Center, natural light shined down on the entire Artist Alley from an entirely windowed roof. At times, it almost felt like an outdoor European boutique, which made it just a pleasant place to peruse. Axel Rex is Ohno’s original web comic he drew for Kodanasha/Yahoo!! Comics from 2008 to 2009. The other Japanese artist attending was Tatsuyuki “Mikey” Maeda, who’s worked for the past 10 years as a manga assistant. In a way, while manga artists themselves only attend cons sparingly, their assistants are even rarer. Maeda was selling a short guide called “Secrets of Manga: Basics of the Tools & Trade.” In it, he gives various technical tips to aspiring manga creators, the kinds of things that often get glossed over in favor of “character design” and “how to draw mecha.” The guide talks about differences in pen nibs (such as what you should use if you have a light touch vs. a heavy hand), how to effectively use white-out, and more. I highly recommend it. Panels are an important part of the con experience for me, though due to my schedule I could not attend as many as I would have liked. Still, the Gundam Thunderbolt panel was highly informative, as were the Inifini-T Force and LeSean Thomas panels. Infini-T Force is a current 3DCG anime series crossing over the classic heroes of Tatsunoko Production—Gatchaman, Casshan/Casshern, Hurricane Polymar, and Tekkaman. The fact that Tatsunoko, one of the most influential anime studios ever, had a con presence at all was the main reason I decided to attend their panel. Overall, it was a fairly basic introduction to Tatsunoko, but I like that they conveyed a bit of the studio’s historical significance. They’re one of the most influential studios ever, pushing the limits of animation in Japan since their inception in the 1960s. They were also willing to discuss a bit of the reception Infini-T Force has received in Japan, such as the fact that the primary female character is a little contentious to Japanese audiences. This is also somewhat unusual for Japanese companies, and was somewhat refreshing. The LeSean Thomas panel was a general Q&A, but was one of the highlights of Anime NYC. It was inspiring to see attendee after attendee express how Thomas inspired them to keep working at their art, and how his success as a creator of color gave them the courage to never give up. I previously interviewed him at Otakon 2016, and he does make for an excellent role model. Given how much I’ve praised Anime NYC, it might seem like I’m a paid shill, but I assure my readers that this is not the case. The con was actually executed so smoothly that there’s little I can complain about that would be the fault of the convention itself. While I attended for free as press, even the weekend ticket was affordable, especially compared to New York Comic Con ($60 vs. over $200 to buy four 1-day NYCC passes). This entry was posted in anime, convention, fandom, giant robots, manga, review, sunrise and tagged anime nyc, chihiro yonekura, gundam 08th ms team, gundam thunderbolt, TRUE, yoko ishida. Bookmark the permalink. I had heard a bit about this convention on Twitter, but being from the west coast and only having attended a few conventions, I didn’t realize this was the first year for Anime NYC. Thank you for covering it! With Anime Expo becoming more and more unbearable for me, I’m looking for smaller conventions run smoothly in cities I frequent. Since I’m in NYC 2-3 times a year, Anime NYC might actually be doable for me! 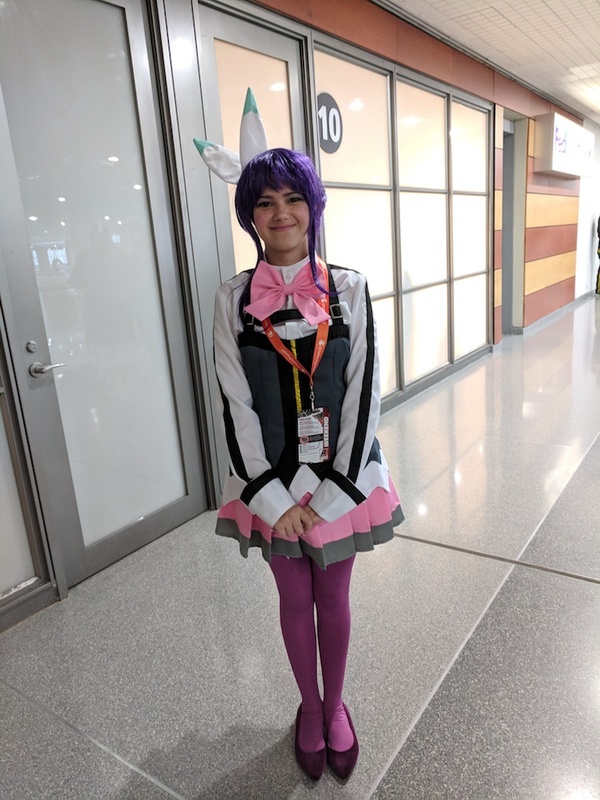 I enjoyed this convention quite a lot, though part of that is that my experience with it was quite different than most I’ve been to due to the fact that many of my friends were attending, I was almost never alone. Totally agree on the artist alley comments.